Scientists have created a new kind of ceramic coating that could pave the way for hypersonic travel for air, space and defense purposes. The finding could allow for the construction of a next generation of aircraft capable of travelling at 3,800 miles per hour (6,2000 km/h) or faster. This would enable journey times from London to New York to be cut to just two hours, by racing to the edge of space before dropping back toward the Earth. 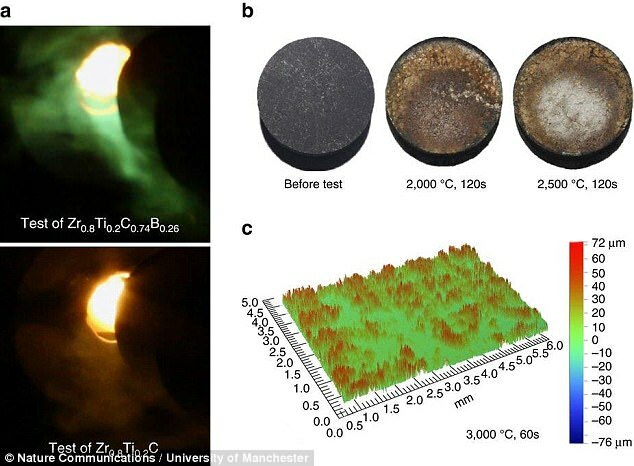 Experts at the University of Manchester, in collaboration with Central South University in China, created the material after extensive lab work, testing various candidates. 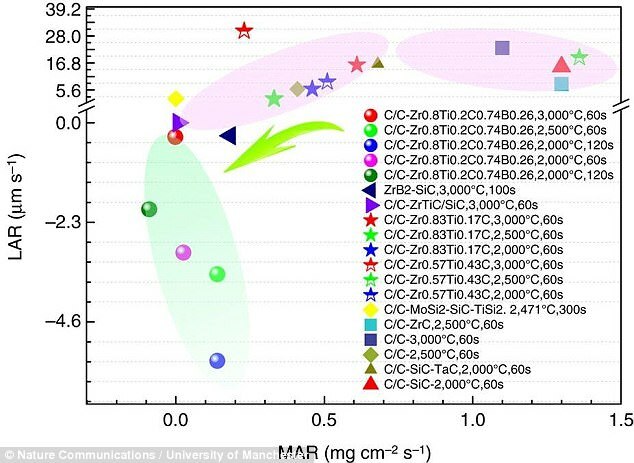 They designed and fabricated a carbide coating, a compound composed of carbon, that is can resist high temperatures better than any existing materials. It is composed of zirconium, titanium, boron and carbon. The wonder material is capable of withstanding temperatures of up to 3,000 degrees centigrade (5,400 Fahrenheit) that are generated at high speed. 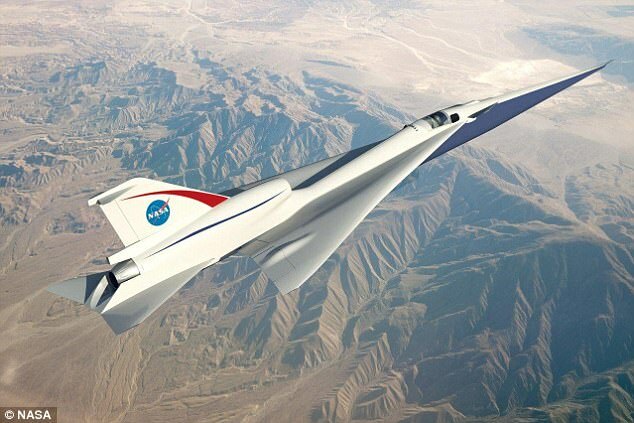 Hypersonic travel means moving at Mach five or above, which is at least five times faster than the speed of sound. Some hypersonic projects envisage a flight route which reaches the upper atmosphere and the edge of space, before returning back towards the Earth and arriving at their destination. Temperatures hitting aircraft moving at these speeds down from heights of around 60,000 feet (18,000 metres) can reach anywhere from 2,000 to 3,000 degrees Centigrade (3,600 to 5,400 Fahrenheit). But the new material should shield them from any damage caused by these extreme conditions. Professor Philip Withers from the Manchester team said: 'Future hypersonic aerospace vehicles offer the potential of a step jump in transit speeds. 'A hypersonic plane could fly from London to New York in just two hours via space, which would revolutionise both commercial and commuter travel. The heat generated by air and gas in the atmosphere can have a serious impact on an aircraft or a projectile's structural integrity. The structural problems are primarily caused by processes called oxidation and ablation. This is the when extremely hot air and gas remove surface layers from the metallic materials of the aircraft or object travelling at such high speeds. To combat the problem materials called ultra-high temperature ceramics (UHTCs) are needed in aero-engines and hypersonic vehicles such as rockets, re-entry spacecraft and defence projectiles. But, at present, even conventional UHTCs can't currently satisfy the requirements of travelling at such extreme speeds and temperatures. Overcoming these limitations will be key to enabling hypersonic travel for passenger planes.